Hi ladies. 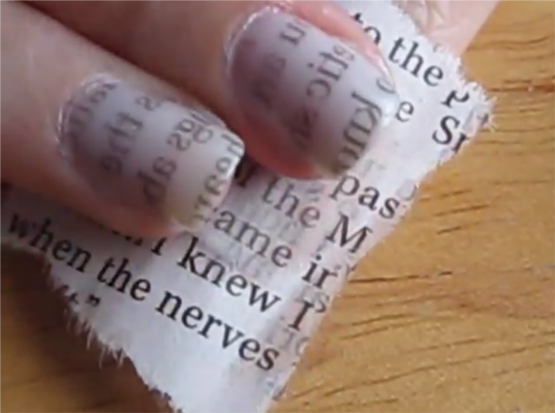 Today I am going to show you newspaper nail art design. 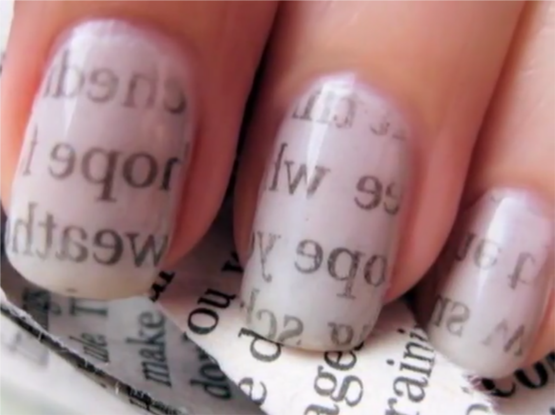 This nail art design is inspired by news paper print and is very easy and fun to do. Its so easy that I will recommend people new to nail art to try this. Time taken for this nail art is 10-20 minutes. This is how this nail art looks. As I said this is a very simple and easy nail art design and you should be able to complete it in less than 15 minutes. Step 2: Apply 2 coats of light gray nail polish and let the nail paint dry properly. Step 3: Now we will work on transferring ink from newspaper to the nails. Take some rubbing alcohol in a small container. Dip your nail (as shown in image below) in rubbing alcohol for about 5 seconds. 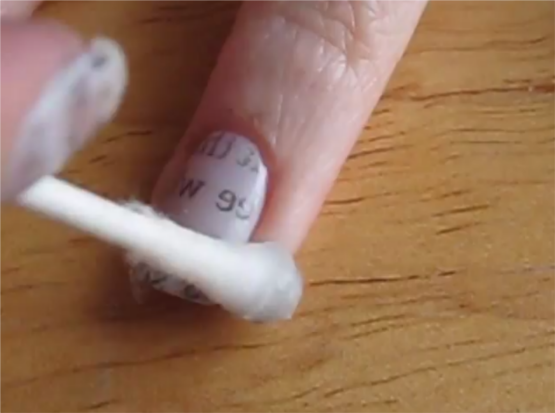 Step 4: Now take a piece of newspaper and place it on the nail you dipped into the alcohol. Pat gently. 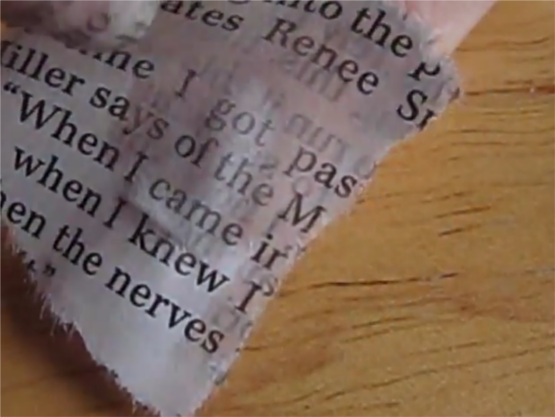 Step 5: Now peel off the newspaper from your nails in one quick motion. Step 6: Some ink will get transferred to your skin. Remove this with a cotton bud dipped into nail polish remover. Step 7: Apply a top coat to finish the design. 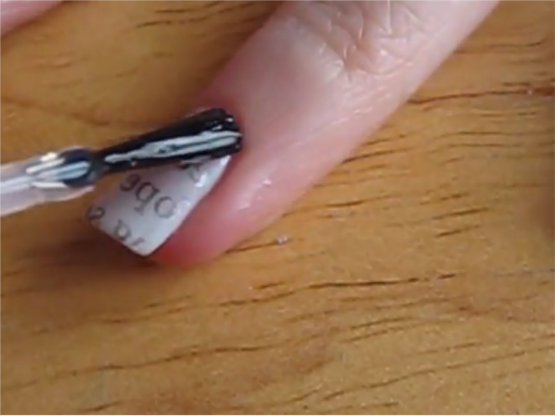 Your newspaper nail art is ready! will it work woth regular water? Will the rubbing alcohol bit work with nail polish remover? Alcohol works the best. I don’t think anything else will work. Mine didn’t transfer it was a good of ink no letters what did I do wrong? Do u need a top coat?